It all comes from a love of music. Since an early age Frantiq has been interested in all things music and audio related and has been sharing these passions ever since. The catalyst of these came when he discovered the world of DJ’ing through old school hip-hop DJ’s and turntablists. Soon after being introduced to the diverse world of electronic music the two became one and the same from then on. 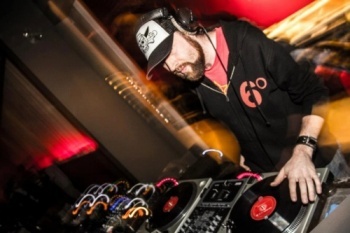 In his mixes he takes the skills and techniques of turntablism and applies them to a wide and eclectic range of musical styles. Expect to hear the unexpected as he shares everything and good under the sun from hip/trip-hop, downtempo, funk & soul, breaks, world & fusion, house & breaks, glitch, and bass music all arranged and mixed from the ears of one music lover to another (you). House Mini Mix DUBPLATE FM EXCLUSIVE!